SPEARFISH, S.D. – It’s called the Camp Fire, a wildfire north of Sacramento, California that has burned more than 150,000 acres. It’s a wildfire that as of Nov. 25 has destroyed nearly 14,000 homes, wiped a town of 26,000 off the map, and claimed the lives of at least 85 people. Firefighters Brayden Ashworth, Thomas Hageman, and Heath Brown. Help came from across the country – more than 1,000 firefighters answered the call for help. Among them were three from Spearfish who spent nine days helping fight the fire in California: Brayden Ashworth, Heath Brown, and Thomas Hageman. Ashworth, a volunteer firefighter with the Spearfish Fire Department, said the scale of the destruction that they saw when they got to California was jaw-dropping. 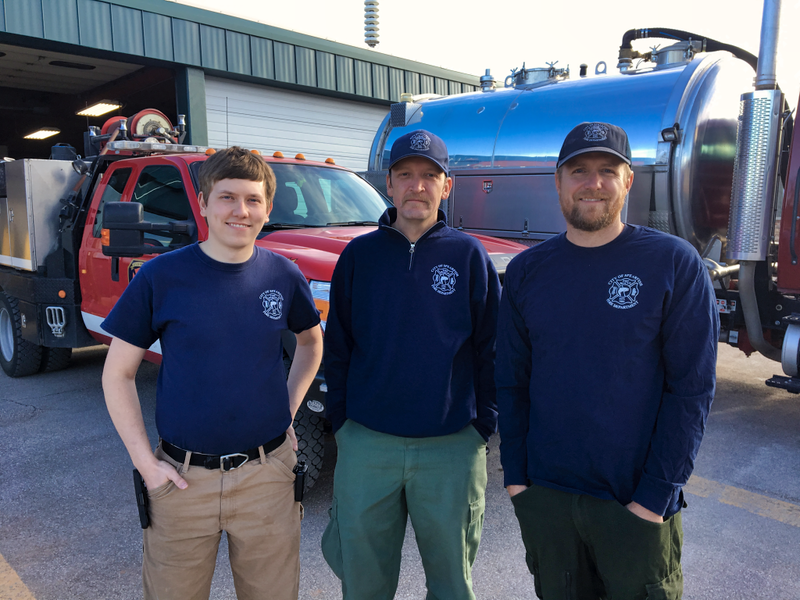 Among the tasks that the Spearfish firefighters performed was a search for fire victims – a potentially gruesome task that can be emotionally stressful. But to succeed, Ashworth said that emotions have to be put aside on the job. The team did not find the bodies of any victims. But Hageman said that did not necessarily put their minds at ease. The Camp Fire is now 100 percent contained, thanks to the three firefighters from Spearfish, and the more than 1,000 others from around the country who flocked to California to battle the fire. Mop-up activity will soon give way to rebuilding and recovery. The Spearfish firefighters were proud of their contribution to the firefighting effort.